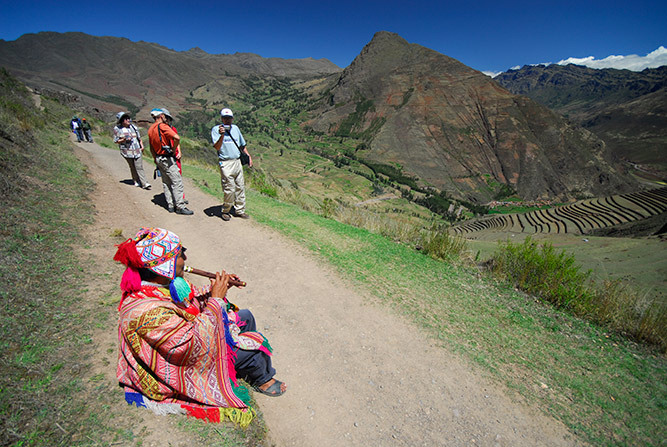 This is a wonderful tour in the valley of the Incas. 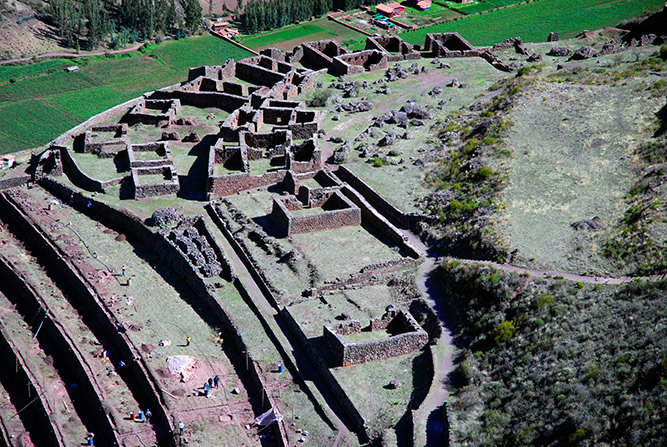 Discover with us this beautiful place full of charm and history, where we will see wonderful temples and Inca terraces. We will also get to know the warmth of its people where time has stopped to show us the ancient culture of these people. Small town through which we passed is important for the presence of typical craft fair. Here you can feed and get to know the 4 South American camelid species (alpaca, llama, vicuna, guanaco). You will also learn about their differences and natural history. 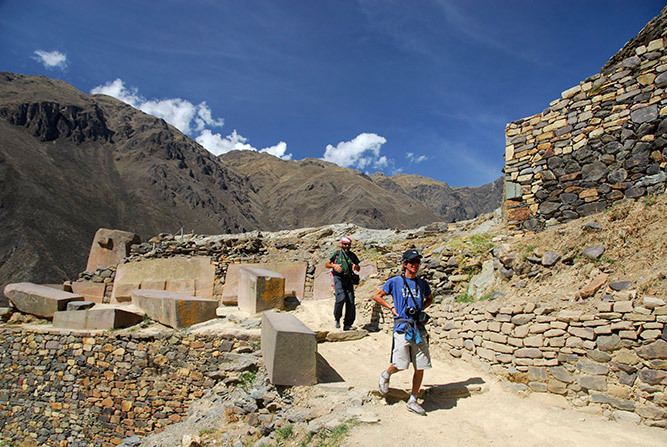 Archaeological Center located at 3250 m.s.n.m. It is the first archaeological site being visited on this tour. It is considered one LLACTA because the area is clearly different religious, urban and military. It also has a craft fair in the main square. 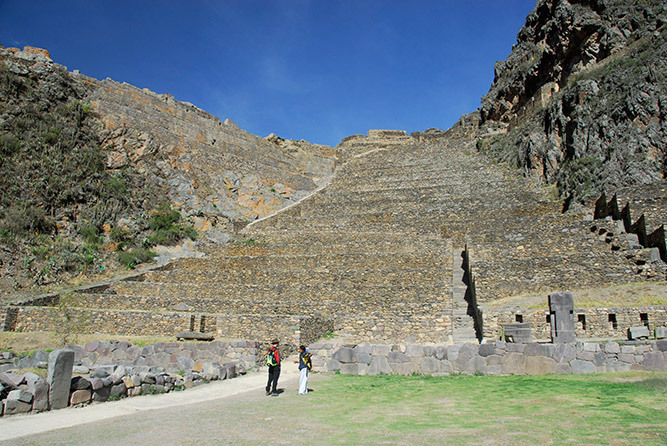 Second visit archeological shows the presence of embankments (platforms) and small centers of worship of various deities Quechua as are the condor, water and the imposing SUN GATE. Tropical town, people currently living in this area maintain their customs and dress and conduct their business with the system of exchange of products (barter). Purely agricultural area due to the presence of terraces. 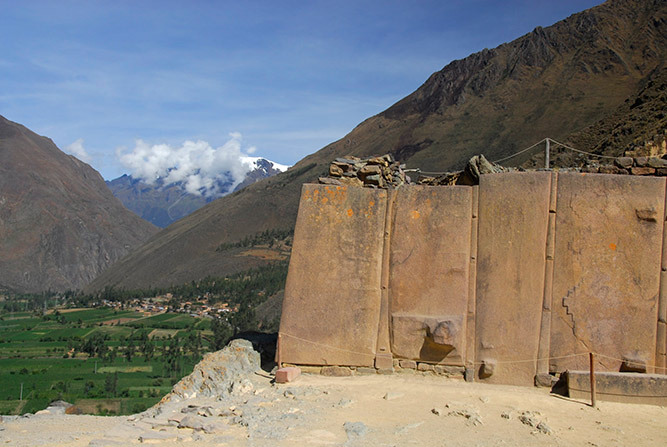 The presence of a colonial church built on the foundations of an Inca temple shows how they have been indoctrinated to the Inca culture. As we make this journey with us very important river that has its origins in the border of Puno and Cusco and the Urubamba River or Wilca Mayu (Wilcanota). We may also observe various villages in the area. For this type of trip is important to wear light clothing, long pants, hiking boots, sunglasses, sunscreen, hat because in the months of December to March the temperature can be between 23 degree heat during rainy day and may have at this time. In the winter months it is important to wear a jacket and warm clothes in the cold this time may be more intense. Should take a camera or camcorder not forget to bring a bag to protect from rain.